I am compulsive about using really fresh extra virgin olive oil. The early months of each new year brings out a renewed passion in me to find and enjoy the latest harvest. So exciting to be consuming already every day this month the “Raccolta 2013 Olio Extra Vergine Di Oliva” that says it is produced and bottled (actually in excellent tins of half litre size) by Argiano (www.argiano.net) in Montalcino Italy. Admire the hand written best before date on the back of the tins of “31 Mag (Maggio – May in English) 2015”. Recommends “Keep in a cool dry place, away from sunlight and heat sources.” This EVOO is really FRESH! Not only is this oil delicious for versatile use but healthy as well. 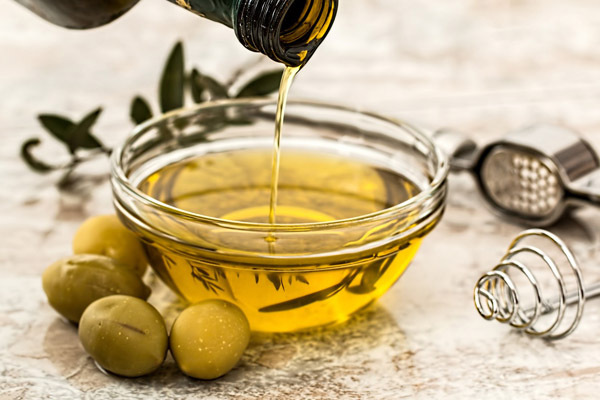 As we know all fats are not equal and the monounsaturated fatty acids (instead of saturated and trans fats) have growing health benefits for their polyphenols with wonderful anti-inflammatory properties. This has to be a high priority for your Mediterranean diet! We have come a long way since 1959 when First Lady Eleanor Roosevelt was promoting Good Luck Margarine in a TV commercial. So look out now for the brand new 2013 olive crop. Remember that those assertive, peppery, grassy, pungent flavours are a good sign of a fresh top olive oil and of a healthy experience! Are you enjoying the 2013 olive oil harvest?